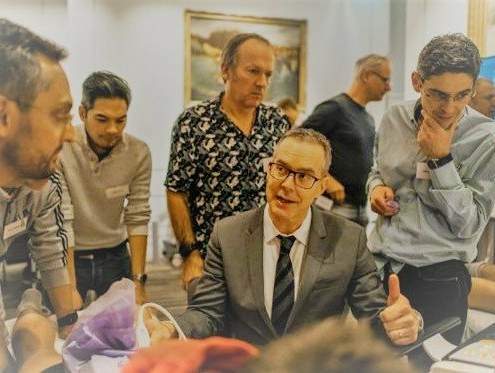 On the 1st and 2nd of July 2019 prof. Jon Jacobson will present his first ultrasound course in Amsterdam. Jon will share his wealth of knowledge in a two day packet of lectures, live demonstrations and hands-on workshops. 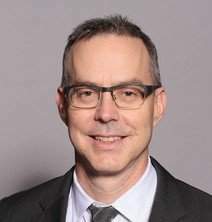 Jon Jacobson is one of the leading MSK-radiologists specializing in ultrasound imaging and MRI. His book ‘Fundamentals of MSK-Ultrasound’ is found on the bookshelf of every MSK-sonographer. Over the years Jon has contributed greatly to developing MSK ultrasound both through research and teaching. He is an engaging speaker and dear friend of Martinoli Ultrasound Courses. Because of the first JUST-course in the Netherlands, Jon Jacobson and Carlo Martinoli will present together a special evening on “Tendon Pathologies, Ligaments and Bone Abnormalities of the Foot and Ankle as seen on Ultrasound“. 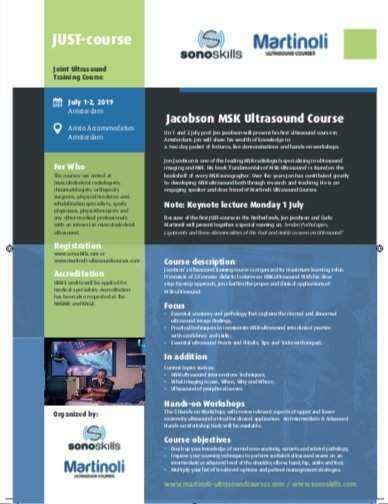 Jacobson’s Ultrasound Training course is organized for maximum learning value. It consists of 24 concise didactic lectures on MSK-ultrasound. With his clear step-by-step approach, Jon clarifies the proper and clinical applications of MSK-ultrasound. Tips and Tricks with impact. Note: All lectures and live demonstrations of the 2-day JUST-course are given by Jon Jacobson. The 5 Hands-on Workshops will review relevant aspects of upper and lower extremity ultrasound critical for clinical application. An Intermediate & Advanced Hands-on Workshop track will be available. Each track offering personalized hands-on training tailored to the skill level and experience of the participant. Intermediate Hands-on Workshop is suggested for those who have attended some MSK-ultrasound courses and have some clinical experience. We expect that you have a basic understanding of normal sono-anatomy and MSK-US scan techniques. The intermediate Hands-on Workshop is very suited for those who are interested in further advancing their scanning skills on tendons, ligaments and joints. Advanced Hands-on Workshop is appropriate for those with more practical and clinical experience in MSK-Ultrasound. Sign up for the Advanced Hands-on Workshops if you want to be challenged and develop skills with more challenging structures, esp. nerves in their surroundings. Six participants per group. Each group has two ultrasound machines and one tutor. Every individual participant will have sufficient time with his hand on the probe. Multiply your list of treatment options and patient management strategies. The courses are aimed at musculoskeletal radiologists, rheumatologists, orthopedic surgeons, physical medicine and rehabilitation specialists, sports physicians, physiotherapists and any other medical professionals with an interest in musculoskeletal ultrasound. UEMS credits will be applied for medical specialists. Accreditation has been also requested at the NVBMR and KNGF.